As you know, the 1.06 update was pushed on Wednesday, and while some changes were beneficial to the experience, others negatively impacted it. - We have identified a bug which caused animations to play incorrectly and hits not to be detected: this has been fixed and is included in the 1.07 update. - from a gameplay side, we probably made too many changes at the same time; we have therefore reverted changes made to the dodge mechanic, and done some tweaks to ranges and guard impact of previously changed attacks. We are actively working on other remaining issues (loading and disconnect issues in Combat Trials, amongst others). Just wanted to say thank you all so much for responding so quickly to player feedback, and being able to carefully evaluate what should be changed. Looking forward to what will happen next! Any word on the timing for a PS4 patch? Thanks for being quick on the draw. My only request is revert Kahlt or at least make it rewarding for skilled players. 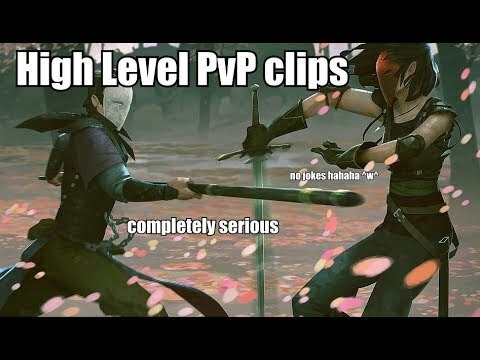 Protection is meaningless in a pvp game, and is an absolute anti-thesis to how the rest of absorb works with ghost damage. Glad to see some of the changes with bad side effects being reverted. Might as well revert kahlt too as it does not adress any of the points you think it does and does not work well with absorb mechanic. Sure, absorb might be the easiest to land but actually is the hardest to utilize. It also requires timing just like parry or avoid, especially if the opposition has breaks readily available. Then you have to keep some stamina in reserve or you get one break into the face without chance of escape. The stamina gain simply should be higher for an ability where you risk health, dont get an instant benefit aside stamina and dont have an easier or guaranteed punish. You might not even use the protection (which is capped and limits gear choice) if you play well and you are not supposed to get hit anyway. If there should be mechanic at all next to the stamina gain then I would like to see a damage and/or attack speed buff in relation to your ghost health. A improvement to parry is still needed, or better balancing, parry is still pretty dang underpowered for forsaken, sure it has a chance to get a hit but the window is super short and fast moves still break threw it. The windows for the skills are all the same, afaik. And any special can be broken by fast moves, at least yours stops their combo. it does not have just a chance, it is a guaranteed side kick. No other defensive ability has a guaranteed punish like parry, you could remove the stamina reward and it would still be strong. If you have issues landing a punish then you need to think ahead and buffer attacks. Parry is fine. Parry is single handedly the strongest ability in the game. The nerfs did nothing to address the generous windows of activity and the minimal windows of recovery. Idk what short windows you refer to. You can still feint a parry and if the forsaken buffered an attack they will still hit you first. You can feint a parry and if the forsaken doesn't attack they can still just parry again and get that hit if its around the speed of a side kick. Liddykins' is spot on. Windfall is in a good place now, but Absorb has been utterly trashed on with the latest update. I love the changes and tweeks you guys have made to gameplay, but i have been experiencing more connection issues since the release of 1.07. Il get maybe one or two good matches and then the system starts to lag and hits start to register late. Most of the time when i que up combat trial it puts me in an infinite load screen or just takes me back to the open world. I love this game but its mostly unplayable for me now with these issues im facing. Patch is already out on PS4. Tried 10 matches, today, after DLing 1.07. I had the impresison that at least some of the netcode changes of 1.06 were rolled back. Kinda felt like 1.05, as far as the connectivity goes. I hope it is improved in 1.08. You guys keep talking about using a side kick after a parry. I don't use side kick of for that matter have it in my deck. So yeah try using a parry and then trying to use something else besides broken moves, side kick being one of them. In any case I am not the only player who feels like parry is underpowered. I am guessing that you two don't main a forsaken? Probably a windfall & khalt. Also as I previously stated fast moves can nullify a successful parry with ease, lag punches also can, before the patch shockwave could interrupt it as well. If you can't time your shockwave or parry you're not going to do any better with the other abilities. The difference is yours' stops them in their tracks AND leaves them open. Leaves them open to what, a jab? One single attack? Wow amazing. Doesn't matter how often you parry when you can only give them a tiny piece of damage before they go right back to doing whatever they were doing before. a succesful parry = guaranteed side kick = ~130 damage plus any follow up. This is the second or third time I've heard someone mention broken moves, what exactly are they talking about? Imagine being a Kahlt, where you can absorb as often as you want but not only can you not even give them damage guaranteed, you can bring yourself to 1 health with it. Obviously a joke video and idk why but it goes to 3 seconds. Skip to 53. Anyway, Forsaken is so straight forward to use I use it ironically now. You can get a charged attack immediately off of parry. Parry leaves players open to a plethora of things, you just gotta lab with it and see what you get. ...So yeah try using a parry and then trying to use something else besides broken moves, side kick being one of them. I am guessing that you two don't main a forsaken? Probably a windfall & khalt. I went from Forsaken to Kahlt after getting to combat trial 15 because I realized Forsaken as it stands is a crutch. I won a game where all I did was parry -> side kick -> low kick. I could feint the low kick into side kick too, so I could juke players out with it. Forsaken is the only style I've ever played where I can win with two moves. Also side kick isn't what's broken about it, nor is buffering attacks. The issue is the small window for players to flick parry wildly and reap rewards with it. 1) They have trouble counterplaying a move. This could be anything, common offenders being Multi-hit and charges. They have counterplays, but it relies on having a balanced deck or good playstyle. 2) Breaking charged attacks. You can break charged attacks with certain moves, busting through their super armor and letting you unexpectedly beat them up to their surprise. Excellent in neutral against tanky players, but its situational as you'd need a deck designed around it to do it frequently. Again let me just say this again....I am NOT using Side Kick, just because it is the only move that allows a guaranteed hit. And to basically tell me that that is the only move I am limited to should tell you how small the parry window is. So after a parry my only two options are Side Kick or feint is basically all that I am hearing. Which since I DO NOT have a interest in using that move, i'm limited to using parry as a way to feint a move. That literally proves my point that parry is under powered despite the claims. Two. Use a slow super armored move which is predictable and very slow, which means it will be avoided, or parried right back. I'm not using side kick. You can do anything of similar speeds or faster than side kick and its guaranteed. Literally if you have any move faster than side kick you can use it. Side Kick isn't broken, Parry is just really gud lol. I feel like the best way to make khalts damage absorption relevant would be to add a damage multiplier that lasts 3 seconds or if you get hit before the seconds are up then you lose it. That way absorbing the hit would be worth it if you can make ur next attack hit harder. Developers when you stop laughing at people and make a normal ping ?? I'm disappointed. Parry is the strongest style in the game. You aren't utilizing it to it's broken potential. again, you dont have to react, just buffer the attack right after the parry. no skill or reaction time required at all. there are plenty of 100+ damage moves that will connect in that timeframe. Are you even reading what other people are saying? Because we've said time and time again that the things you are spouting are wrong and given you the various reasons why. You can do any attack with a similar speed to side kick and it will be guaranteed. Even moves with special properties, like charged attacks, some of the slowest moves in the game because they're made for tanking, can guarantee off of Parry. Even if they feint your parry and go for an attack, if you buffered the attack you will still hit them first. Parry needs longer recovery frames. Its too efficient, as you can parry someone, parry again, and still get a light hit, or even worse you can panic parry both direction and since it happens so damn swiftly get a completely luck based punish, something no other class can do from mashing their ability wildly.